Category: Blankets and Throws. Tags: gift, hand finished, hand woven, Morocco, New, Thank you gifts, traditional handicraft, Wedding gifts. 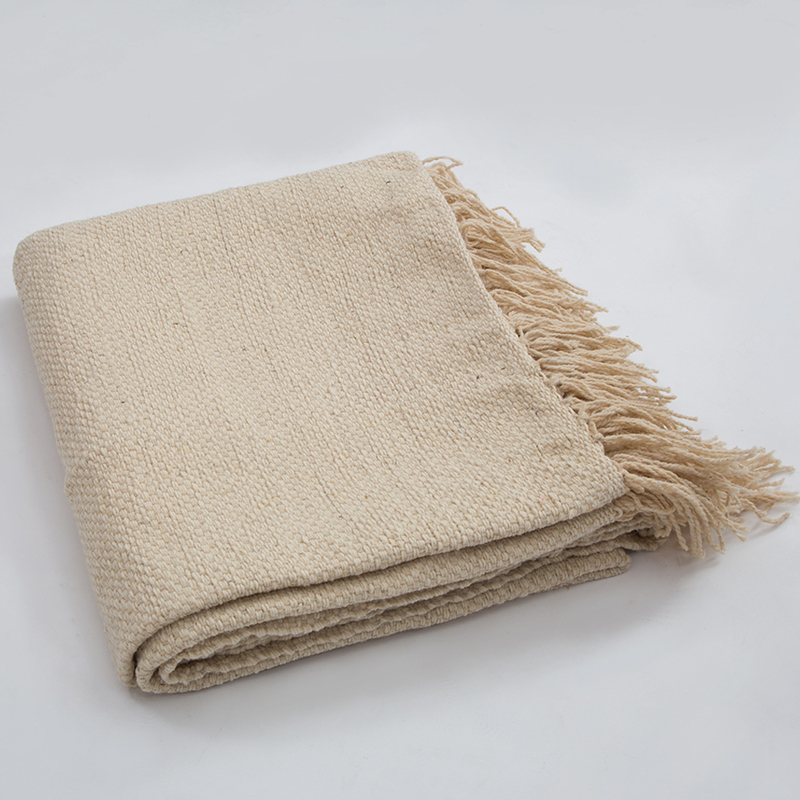 New in – stylish, textured, 100% pure wool blankets in natural. These blankets have been hand-woven for us on a traditional wooden loom in Morocco using techniques handed down from father to son over generations. 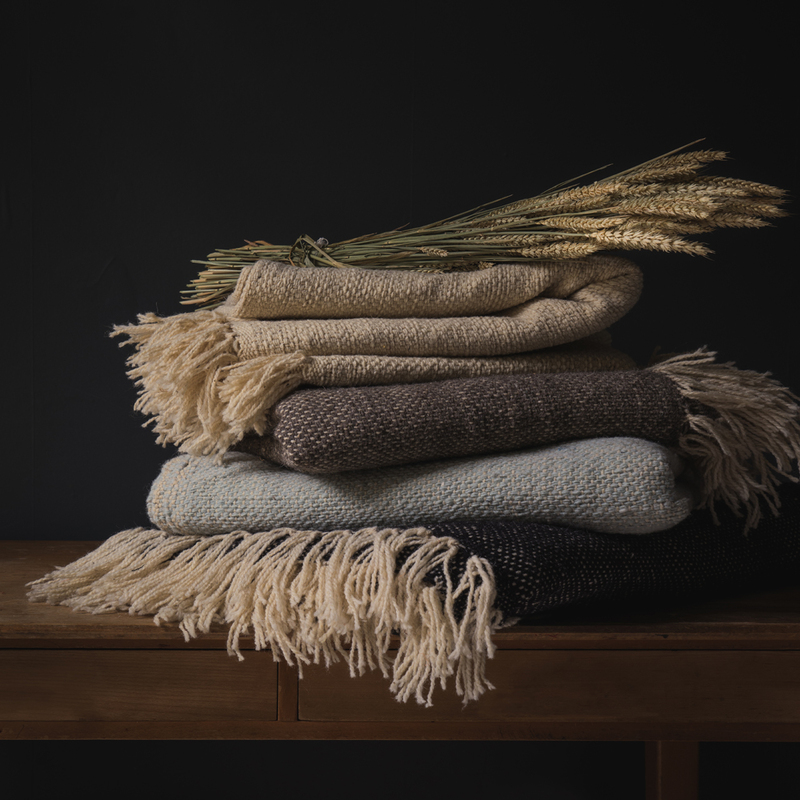 The fringed finishing in natural wool at the head and the foot and the texture of the weave give these blankets and throws a contemporary twist. They come with a high snuggle factor. The blankets in a bouclé weave will give a bedroom a sophisticated update and the throws can be layered over bedding, a sofa or chair. 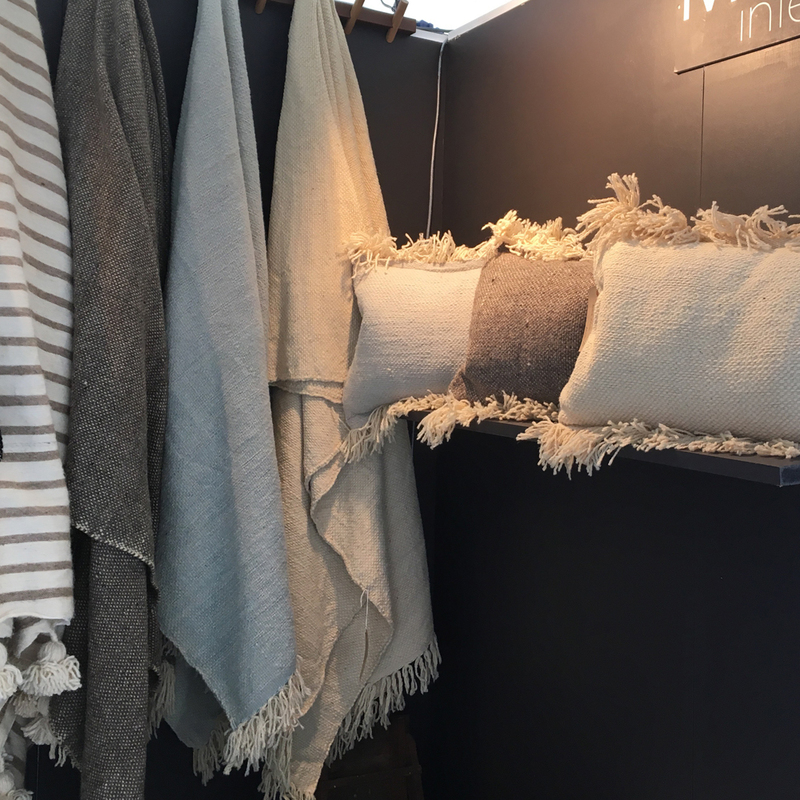 We also have cushions in natural, charcoal and natural, blue grey and natural and chestnut and natural, which work well with the blankets and throws.